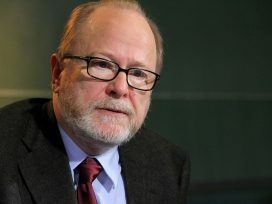 For Walter Famler, editor of the Viennese journal “Wespennest”, the European Meetings of Cultural Journals have been an inducement to carry on in the journals business – and an opportunity to pursue a variety of less official interests. 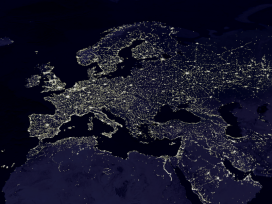 When a handful of editors of European Cultural Journals first got together in 1983, they could not have imagined that the network they had initiated would still be going strong 25 years later. Network veterans look back on the history of a community that has endured. In 1988, Wespennest moved to Rembrandtstrasse, in Vienna’s second district. Until then, Josef Haslinger’s flat had served as the editorial office; now the magazine was to be quartered at my place. Internal “professionalization debates” hadn’t produced any great perspectives and the editorial collective was somewhat tired – some were even suggesting that the magazine be discontinued. Haslinger handed over the files and told me about two magazine meetings, initiated by Hans-Götz Oxenius, that he had attended in previous years: the next was planned for Berlin in 1989. Franz Schuh represented Wespennest at the Berlin meeting, which was held at the Literarisches Colloquium, however his report was rather sceptical. So Josef and I went to the next meeting in Budapest in 1990. For him it was a kind of adieu to the magazine business, for me, as it transpired, an inducement to carry on. Three days of intense debate and conversation, lots of new contacts, a productive exchange of experience. Claus Clausen agreed to put together an issue on Danish literature, a result of which was that we formed contacts with Scandinavian authors and publishers. Individual podium discussions provided the basis for essays and there was also a tentative discussion in Budapest about what structures needed to be developed for ongoing collaboration between European magazines. This all took place in an extraordinarily friendly atmosphere, the amazingly unpretentious conference participants had lots of opportunity to mingle, no one tried to take centre stage. There was a huge amount to laugh about, for example when Claus Clausen, city map in hand, constantly led us to the wrong parts of the city, paid mafioso taxi drivers five times the local rates, and got it into his head that George Blecher was a spy for the CIA. In 1995, it was Vienna’s turn; this was also the first time a joint conference publication was produced. Bearing the conference title Fin de siécle, it had a print run of 99. In Copenhagen the year after, another idea for joint European publishing project was aired – and again discarded. In Moscow in 1997 we presented the first Eurozine concept, with the project title “Euro”. If only we’d copyrighted it for all print media, today we’d be enjoying our common currency even more! In Moscow, the idea of a joint Internet project was rejected by the majority, with only the Scandinavian colleagues reacting enthusiastically. In 1998 Eurozine began operations in the Wespennest office on Rembrandstrasse. 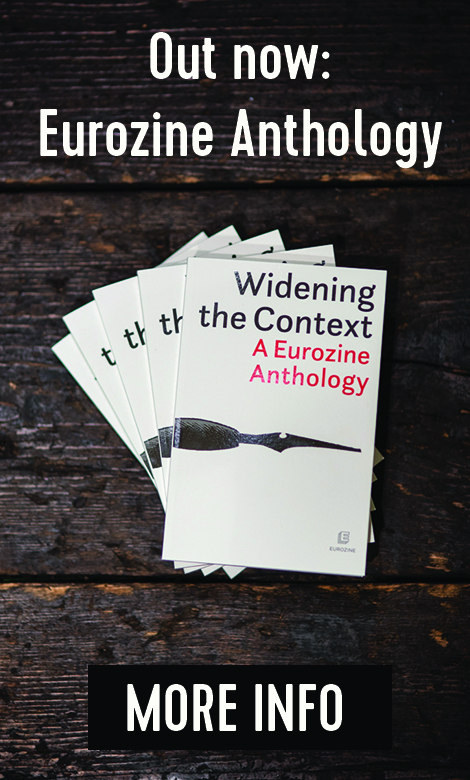 Today, ten years later, Eurozine is a unique platform for a Europe-wide intelligentsia – an enormous potential readership – and as a label of quality an irreplaceable generator of texts for partner magazines. The conferences now being organized by Eurozine have attained a dimension that in 1990 we wouldn’t have predicted in our wildest dreams. Of course, alongside all the content-related and structural successes, there are a huge number of anecdotes and personal memories. For example the impressive appearance of the British publishing legend John Calder, who long after the hotel bar had shut served us whisky in his room, which we drunk from ashtrays in the absence of cups. Or about the Frank Legal Defense Fund, which, seduced by the promise of foolproof returns, we invested in for our colleague David Applefield in 1998 and which ended up losing us a total of 4000 US dollars. Lots of material, then for the grand Eurozine novel currently in preparation, due to be translated into all European languages and published by 45 European publishing houses simultaneously in 2012. “Histories” means many things, but above all that the history written in western Europe does not necessarily coincide with the one the eastern Europeans are trying to write, observes Biancamaria Bruno in her essay about her first visit to the Lithuanian capital.